Home › Culture › Is Passion Key for CEOs? 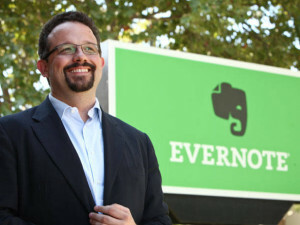 I read in a recent Business Insider article that the CEO of Evernote, Phil Libin has decided to step down. The reason – – he isn’t passionate about running a publically traded company. His passion lies in the product side of the business, where he can work with “small teams of nerds” on “specific actionable things”. Libin will remain Executive Chairman, but the company will move forward with former Google executive Chris O’Neill at the helm. Libin understood what it would take to run a publically traded company, and he had no interest in that job. He knew himself well enough to know where his strengths and interests lay. He was also selfless enough to check his ego at the door and make room for the right CEO. As leaders, we need to take an honest, hard look at our strengths, skills and passions. Do they align with the responsibilities of our leadership roles? Are we neglecting the high level work we need to do, because we are focused on “specific actionable things”? I’m not suggesting stepping down, but I do suggest that as leaders, we evaluate where our true strengths and passions lay. Is the leadership role aligned with our strengths? Is there an opportunity to add leaders (i.e., COO, CMO, CHRO) who will bring the passion and strengths necessary to move us forward? These are the questions we need to be asking ourselves. Be willing to admit your weaknesses and development needs. Find someone who’s been where you’re trying to go, and ask them to be your mentor. Be honest. It could be time to put the future of the company ahead of your own interests. Do you think Libin gave up too soon? Do you agree with his decision? Are there other lessons to be learned? Do leaders get so caught up in making it to the top, that they forget where their true passion lies? Deneen Grant is a Leadership Strategist, Culture Expert, and founder of Progressive Leadership Group. Progressive Leadership Group partners with CEOs and Senior Executives to put the Right Leaders, in the Right Roles, with the Right Skills – creating thriving, high performing, and profitable organizations. ‹ What Happened at Twitter?